In the presence of the new Minister of Home Affairs, Prof Hlengiwe Mkhize, the Electoral Commission (IEC) briefed the Committee on the Annual Performance Plan and Budget for 2017/18 and on the Local Government Elections held in 2016. It was an honour for the IEC to meet with the new minister as the budget of the IEC was received through the Department of Home Affairs. The IEC noted that the strategic outcome-oriented goals of the IEC were: strengthening governance, institutional excellence, professionalism, and enabling business processes at all levels of the organisation; achieving pre-eminence in the area of managing elections and referenda, including strengthening of a cooperative relationship with political parties; and strengthening electoral democracy. A total of 23 performance indicators were set for 2017/18. The IEC noted that on the national common voters’ roll as at 31 March 2016 there were 16 458 351 voters for whom the IEC did not have addresses or sufficient particularities. By 31 March 2017, this was estimated to be reduced to 9 218 041. The target for March 2018 was 5 500 000 and March 2019 was 1 200 000. The number of registered voters reflected on the voters roll as at 31 March 2017 was 26 139 122. The IEC budget for 2017/18 was R1 172 813 000. The budget for the ICT platform upgrade and address harvesting was R61 million and R119 million respectively. The IEC did not achieve a clean audit. The IEC noted that some of elements were not budgeted for. The absence of physical addresses had implications. Added to this, there was a problem of demarcation which affected the electoral time schedule and was the transfer the minister of the Department of Cooperative Governance and Traditional Affairs (CoGTA) to the Department of Finance. The IEC also faced unprecedented litigation and complaints. Litigations cost the IEC money and thus affecting the budget. It hoped that there would be a good relationship with the new minister of finance, who was the minister of home affairs. The IEC stated that when the question of address was taken to court in February 2016, the IEC had to do assessment to make sure that voters were in the correct voting District as accuracy was important. A GPS was needed to link then to a specific address in order to ensure that a voter was in the right voting district. Members asked if why the IEC was not achieving a clean audit; implications of demarcation of boundaries, on maintenance of the integrity of the IEC, the morale of the staff, and the current status of seven wards that were set aside during local elections. Regarding the 2016 Municipal Elections, the IEC noted that, in terms of legislative framework, the Municipal Electoral Act provided for candidate nomination and that half the number of councillors ought to be elected directly from wards. Councillors to be elected from party lists ought to be balanced. He noted that amendments to the Municipal Electoral Act provided for recognition of smart ID card, on-line candidate and streamlined nomination process, among other things. The IEC provided for election goals which included the following: registration of, at least, one million new voters; improvement of accessibility to voters in special circumstances; improvement of accessibility and simplification of candidate nomination; improvement of voter turnout; and reduction in spoilt votes. In 2016, the IEC achieved a voter turnout of 57.98% and actual reduction in spoilt votes to 1.83%. The registered voters were 26.3 million and 719 222 special votes were approved. A number of voting station was 22 612, of parties contesting the elections was 205 and of candidates was 63 654. In terms of outreach campaign, the election campaign “My Tomorrow Is In My Hands” was broadcasted nationally in 11 languages; and 2.5 million sms messages were sent out. Members asked if combined elections were considered, whether there was a programme to educate its workers and new recruits, why members were receiving smses from the DA, and whether the IEC staff received training. 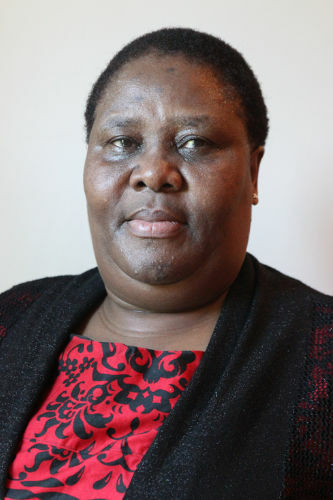 The Chairperson welcomed the new Minister of Home Affairs, Prof Hlengiwe Mkhize, and commented that she was welcome to the odd department where people’s IDs were blocked, where a large number of foreign nationals were undocumented, and where big cities like Cape Town, Port Elizabeth, Durban and Johannesburg are controlled by foreign nationals. It was no secret that these major cities were under the control of foreign nationals and he thus warned citizens to be careful when they go to these cities. He welcomed the Minister to the Department in charge of the refugee reception centres such as Desmond Tutu Refugee Reception Centre, which asylum-seekers were using to abuse the asylum system or engage in other funny elements. He also welcomed the Minister to the department that dealt with Lindela repatriation centre yet a major problem was that people who were deported, were returning to South Africa. In the name of radical economic transformation, the Committee welcomed the Minister to facilitate the finalisation of the Border Management Authority Bill. The Committee was expecting to table the BMA Bill in the National Assembly that week for adoption. The Bill would ensure that ports of entry were tighter. Minister Mkhize thanked the Chairperson and members for giving her a warm welcome. She said that the Chairperson had decided to shock her with the status of the department. She appreciated the audience, especially, that day, when the IEC was appearing before the Committee. Such appearance gave both the Committee and the department an opportunity to interrogate its performance and to see how the IEC could be supported. She said that she fully understood the structural organisation of IEC. It was an independent entity. However, the department has a duty to ensure that it was adequately resourced so as to minimise challenges it was facing. For example, the budget should not become a political discourse. She hoped that the relationship between the department and other stakeholders would be strengthened. Some of the work being done by the IEC was part and parcel of the Inter-Ministerial Committee on Migration. She was grateful to be present; she would hear and listen. Mr Terry Tselane, IEC Deputy Chairperson, noted that it was an honour to come and be accountable to the Committee. The IEC enjoyed professional relations with the Committee which, throughout the IEC’s work, interacted with it. The purpose of the briefing was to provide the Committee with an update on annual performance plan, budget, and local government elections. It was an honour for the IEC to meet with the new minister as the budget of the IEC was received through the Department of Home Affairs. The Commissioner would communicate to the Department on the challenges the IEC was facing and update the Minister on issues the IEC was dealing with. Ms Fiona Rowley-Withey, Deputy Chief Executive Officer, took the Committee through presentation. She noted that the strategic outcome-oriented goals of the IEC were: strengthening governance, institutional excellence, professionalism, and enabling business processes at all levels of the organisation; achieving pre-eminence in the area of managing elections and referenda, including strengthening of a cooperative relationship with political parties; and strengthening electoral democracy. A total of 23 targets as performance indicators were set for 2017/18. Ms Rowley-Withey said that on the national common voters’ roll as at 31 March 2016 there were 16 458 351 voters for whom IEC did not have addresses. The performance indicator [Slide 18] measured the reduction, through address harvesting and capturing campaigns in this number. By 31 March 2017, this was estimated to be reduced to 9 218 041. The target for March 2018 was 5 500 000 and March 2019 was 1 200 000. Number of registered voters reflected on the voters roll as at 31 March 2017 was 26 139 122. Ms Rowley-Withey noted that the budget for 2017/18 was R1 172 813 000. The budget for the ICT platform upgrade and address harvesting was R61 million and R119 million respectively. The IEC did not achieve a clean audit for 2015/16. Mr Sy Mamabolo, IEC Acting CEO, pointed out that some of elements were not budgeted for. Referring to addresses, he noted that the absences of physical addresses had had implications. 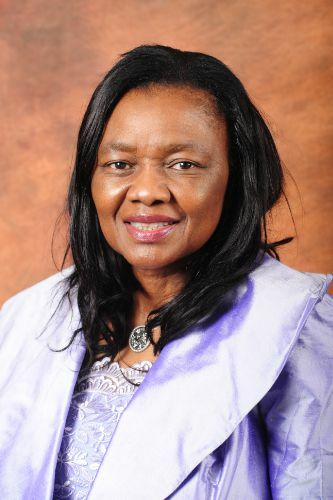 Added to this, there had been the problem of demarcation which affected the electoral time schedule and the transfer of the Minister for Cooperative Governance and Traditional Affairs (CoGTA) to the Ministry of Finance in December 2015. The IEC also faced unprecedented litigation and complaints. Litigation cost the IEC money and thus affected the budget. He hoped that there would be a good relationship with the new Minister of Finance, who had been the Minister of Home Affairs. Mr Mamabolo said that when after the capturing addresses on the voters’ roll was taken to the Constitutional Court in February 2016, the IEC had to do an assessment to ensure that voters were in the correct voting district as accuracy was important. GPS coordinates were needed to link them to a specific address in order to ensure that a voter was in the right voting district. The Chairperson commented that the IEC would be relieved if there was no further demarcation. Changing of boundaries made people very angry because they got confused when it came to finding the right voting district. The major problem with the IEC was that it appeared it was not willing to achieve a clean audit and was not planning to achieve it even in the next two years to come. Ms H Hlophe (EFF) welcomed the presentation. She wanted to zoom in the issue of physical addresses. The IEC had noted that it was left with 26 million registered voters and thanked it for its clarity. The integrity of the IEC ought to be maintained at all times because the IEC was an institution which ought to operate on the basis of organisational value of integrity. She referred to six months ago she wrote a letter to the IEC Commissioner about human resource matters, especially in KwaZulu Natal. A former IEC worker, Ms Nyapa, had written to the IEC Commissioner in 2014 regarding her payment. She never received any response from the IEC and had not been paid since then. When Ms Hlophe formally wrote a letter to the Commissioner, she attached Ms Nyapa’s letter. Her letter included various concerns raised by the IEC employees in KZN hired in 2014. She was not raising the matter because it affected her but because it affected people on the ground. She was disappointed in the IEC’s operations. All issues raised in the letter – including nepotism – should be responded to in writing because they spoke about the integrity of the IEC. Ms Hlophe referred to the Public Protector Report which talked about the IEC Commissioner. She was of the view that the IEC Commissioner had not wanted to resume duties fearing what the report could reveal. She hoped what was reported in the media was not true. According to the media, the contract had become an issue. The IEC had indicated that even though the contract was to be extended on a monthly basis to allow him to remain and serve the IEC, he had turned the offer down. Referring to by-elections, she commented that some political parties had money to campaign whereas others did not. Did the IEC consider that other political parties had no funds to run a political campaign? The Chairperson reminded members that the Committee was dealing with the APP and budget and that clarity-seeking questions should be framed in that context. Dr C Mulder (FF+) asked about the funding of political parties and whether this question was alluded to in the presentation. Ms D Raphuti (ANC) asked for the meaning of address harvesting and the exorbitant amount allocated to it. Ms N Dambuza (ANC) asked about the approval of the IEC staffing structure and whether there was a morale challenge amongst staff and what could be the problems regarding procurement. Are the staff demoralised? Was there any challenge with the electoral legislation? Mr D Gumede (ANC) thanked the IEC and welcomed the work it had done. He said that he was satisfied with the IEC’s work. He was concerned about it failing to achieve a clean audit and was interested in the performance of the IEC in this regard. He understood that an unqualified audit was clean but the IEC should respond to the Auditor-General findings and recommendations. Sometimes, an unclean audit was disregarded if there was an improvement in performance and the meeting of certain other core requirements. The IEC ought to be mindful of the value of its integrity which ought to be adhered at all times. Was the IEC challenged by the IT problem which was affecting the Department of Home Affairs as a whole? Mr A Figlan (DA) raised concern about the current status of the seven wards that had their election results set aside after the 2016 local elections. Mr Tselane responded about the KZN letter, saying that he was not aware of the correspondence and he would make a follow up, perhaps, it was stuck somewhere in the system. On the CEO, there might be a conflation of issues. The CEO was among the people who were cited in the Public Protector’s report. In two previous briefings, the IEC stated how it was addressing issues raised by Public Protector. These matters were moved to the court. There were two issues: the finding about procurement which was, at the time, under a disciplinary process and the finding regarding the IEC office building. The distinction between the two was that the matter concerning the CEO was due to be heard in March but the CEO’s contract was coming to an end in February. There had been engagement about an extension of the CEO contract whilst the procurement matter was on appeal. However, the extension of the CEO contract did not materialise. Mr Tselane said that all questions were noted and would be responded to. On the question of achieving a clean audit, Mr Tselane replied that they were aiming at achieving a clean audit. On the question of morale, Human Resources management were reviewing the structure and this would have a positive impact on the morale of workforce. It was acknowledged that the IEC was not adequately capacitated. The capacity of the IEC was affected by the IT which needed to be upgraded. The court ruling had requested the IEC to ensure it had correct addresses for 16 million people. It was not an easy task to deal with before elections. On the question of registration, there was a suggested amendment of municipality law in order to address registration related problems. Minister Mkhize thanked the IEC for the modest number put forward in relation to the budget. She noted that there was a global problem of cyber-attacks which might affect South Africa’s electoral system. The IEC should be ready to guard against this problem. Mr Sy Mamabolo, IEC Acting CEO, noted that, in terms of legislative framework, the Municipal Electoral Act provided for candidate nomination and that half the number of councillors ought to be elected directly from wards. The councillors to be elected from party lists ought to be balanced. He noted that amendments to the Municipal Electoral Act provided for recognition of the smart ID card, online candidates and streamlined nomination processes, among other things. Mr Mamabolo noted the election goals: registration of at least one million new voters; improvement of accessibility to voters in special circumstances; improvement of accessibility and simplification of candidate nomination; improvement of voter turnout; and reduction in spoilt votes. In 2016, the IEC achieved a voter turnout of 57.98% and reduction due to spoilt votes was 1.83%. The registered voters were 26.3 million and 719 222 special votes were approved. The number of voting stations was 22 612, there were 205 parties contesting the elections and there were 63 654 candidates. In terms of its outreach campaign, the election campaign “My Tomorrow Is In My Hands” was broadcasted nationally in 11 languages; and 2.5 million sms messages were sent out. Ms Hlophe commented that the IEC should consider combining elections because this would be practical and quite inexpensive. The campaigning should start in 2017 and not in 2018. Members should not be expected to be in Parliament but on the ground. She asked if the IEC had ever thought of combining elections in order to allow them to do their job. During the local elections, some voting stations were in a bad state. Was there anything done to restructure voting stations? The IEC was relying on COSATU which was affiliated to the ruling party despite the current development. She was also surprised to see that IEC staff were far from understanding the Municipal Electoral Act and asked if there was a programme to educate its workers and new recruits. Ms Raphuti asked if ‘friends’ were appointed to certain positions. She asked why she was receiving smses from DA when she was not a member of DA. It was frustrating and intimidating. She was of the view that someone from the IEC was sharing people’s contacts with the DA and people needed to be protected from those awkward and intimidating messages. Dr Mulder said that he was receiving smses and calls from people who want to sell certain products to him. It could not be said that someone in the IEC was sharing contacts with the DA; rather service providers such as MTN, Cell C and Vodacom might be sharing contacts. There was no way the IEC integrity could be questioned. The political parties needed to campaign and this should be regulated in the legislation. Members should know that during political campaigns there would be fake news circulating. During all elections, there would be opinion polls which were used to manipulate voters. It should be clearly stated that two days prior to elections, there should be no opinion polls and there should be no political campaigns on election day. The Chairperson stated that elections were covered by SABC and asked why people should refrain from campaigning when the campaign was still on in the media. Mr Tselane replied that the question of campaigning through media and social media should be regulated. The IEC would be able to provide actual information requested after doing its assessment. The idea of combining elections was an interesting one. There was a conversation about this 15 years back. It was an unattractive in terms of few aspects including the system. The legislation used for local government and national government were different. The differences between these electoral laws could not be ignored. The IEC staff were trained but people have different levels of understanding. There were those who understand concepts quickly and those who are slow to understand. If you meet a staff member who do not understand certain concepts, it does not mean that he or she was not trained.